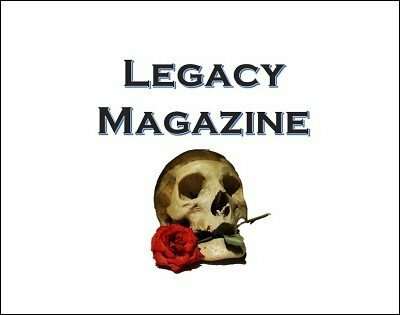 Following in the footsteps of some of the greats Legacy Magazine is a tribute to those that have come before and to those who shall rise in the future. Contained in the pages of this magazine for mentalists and bizarre entertainers are a wealth of knowledge about everything from effects to technical issues to business advice. Each issue will explore different aspects of what is on performers minds today. Legacy A New Begining For Mentalism and Bizarre magic. We welcome you to what I hope is the next step in bringing the mentalism community together. Let's build a Legacy Together. 1st edition 2016, 8 pages.